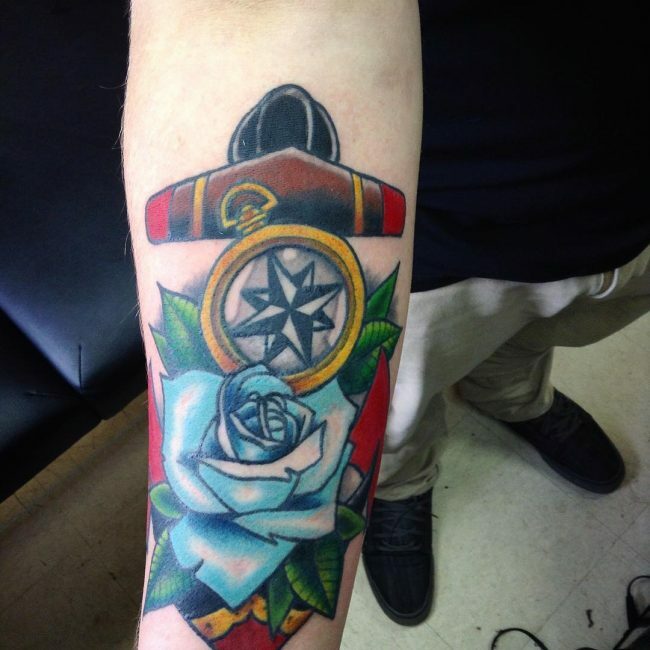 Rose and compass tattoos are of those designs that are used to symbolize what we are feeling on the inside. We mostly tattoo ourselves to express graphically our pain, joy, sorrow or purpose in life. We also use tats as a reminder either of our loved one or of our past. There are numerous tattoo designs to choose and it can be a bit overwhelming before you settle on one that has meaning to you. 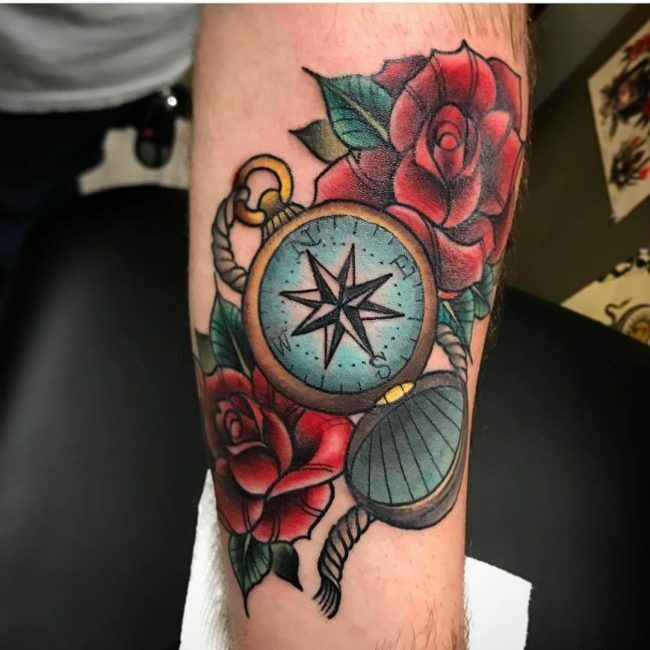 Here we get to explore rose and compass designs and guide you on how to choose the one for you and take care of your tat after being inked. In the early centuries, it was believed that having such an inking helped protect the wearer as he traveled and ensured that he returned home safely. 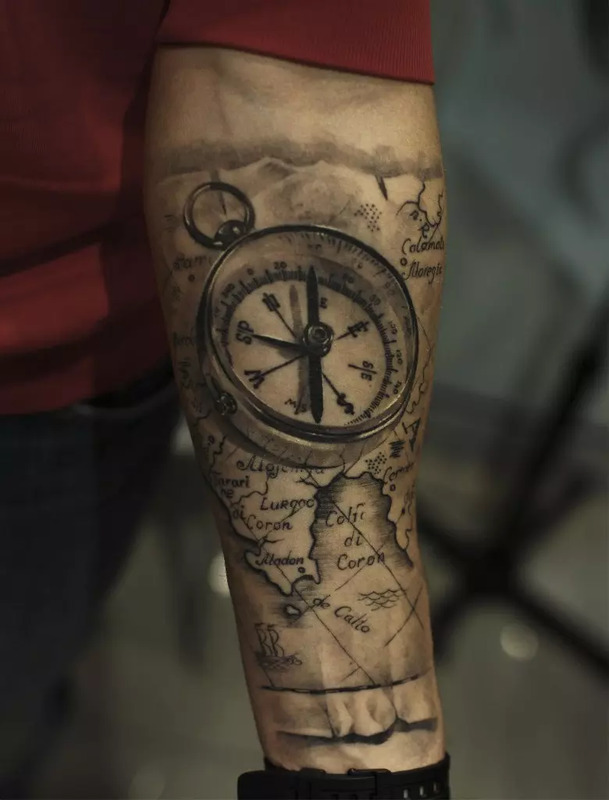 The design was also rendered on the ship and family members of the travelers also wore tattoos or jewelry charms of a compass to support and wish their loved ones a safe journey. 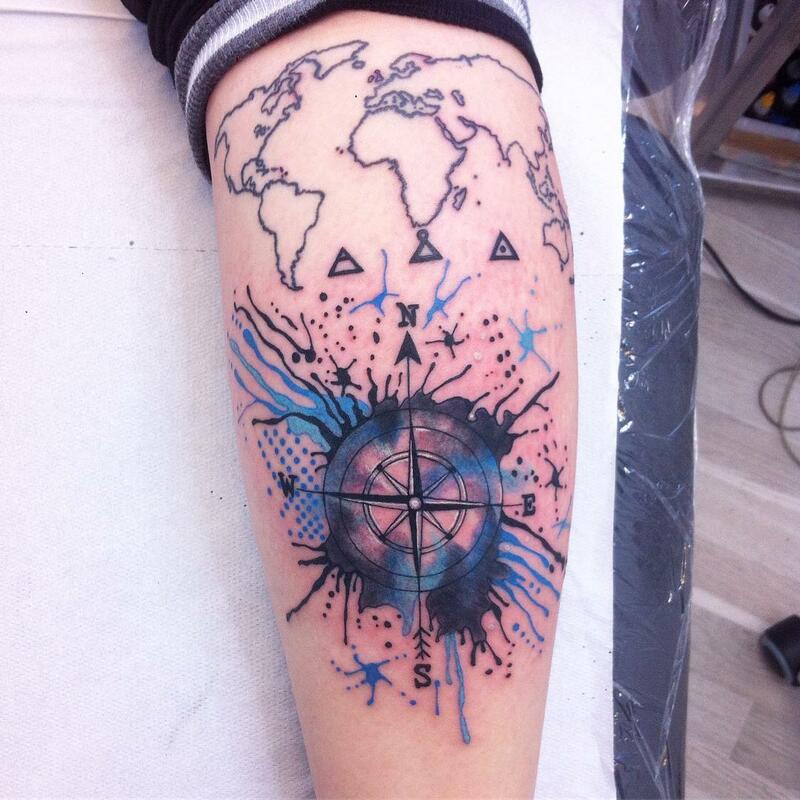 This inking design design has a star that is used to represent the North Star, which was the point of origin that guided the traveler on directions. Today people get these designs for similar reasons. You can get creative with this inking design by adding floral elements, putting a globe in them or adding ribbons to them. You can also have a marine theme to your tat by adding an anchor, which is a part of sea travels. Keep in mind! 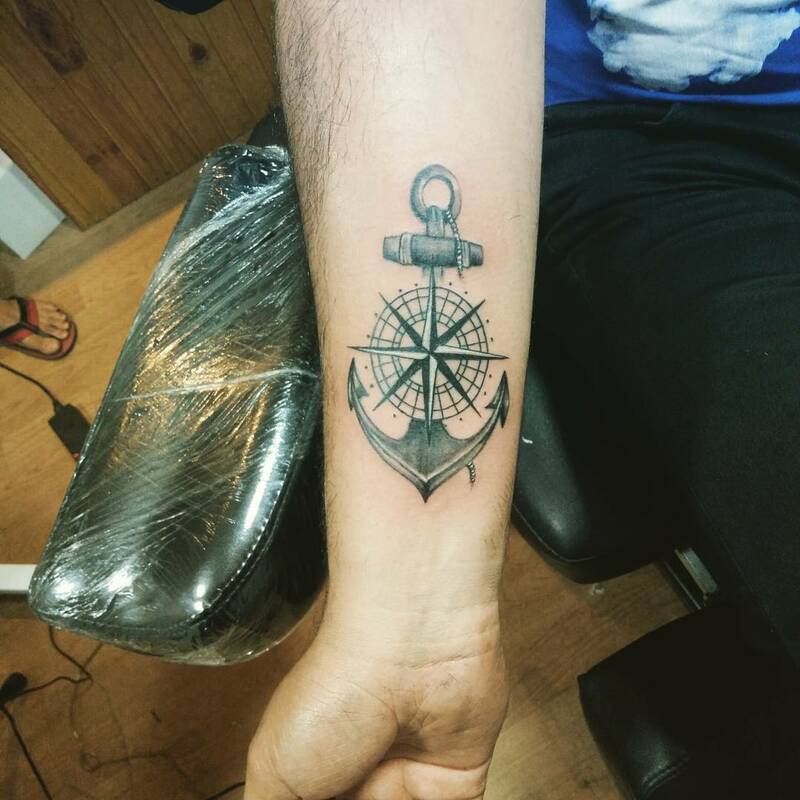 The meaning of this tattoo is finding the right direction and stopping from being lost. 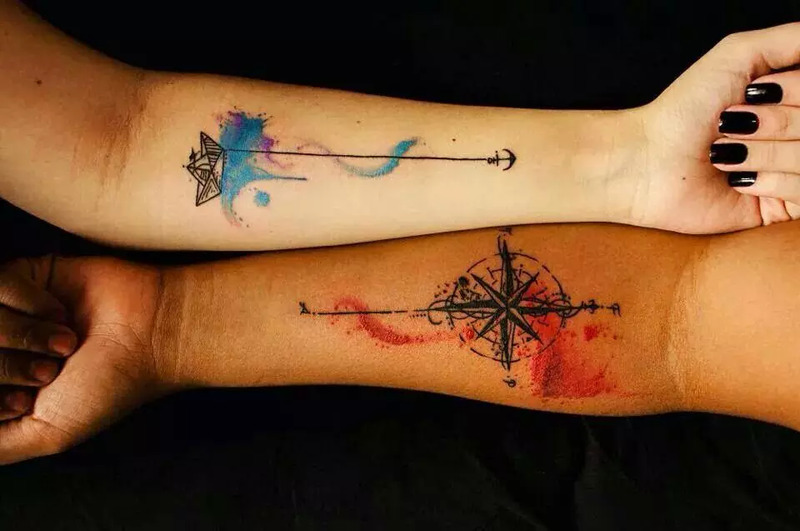 A person feeling lost in purpose could have the tattoo to indicate finding direction. These inkings nowadays are used to symbolize finding the right path in life. It is a beacon of hope for those struggling to find purpose and direction of life. Compass tattoo themes come in various styles such as the rose compass, nautical star compass and the prismatic compass. A rose is a symbol of love, the embodiment of beauty, and a source of appealing fragrance. It comes with a hidden catch, that of a thorn that ensures that its beauty and allure is not without pain. The Greeks in the past believed that the rose was originally white in color and turned red when the goddess of love bled on it after being poked by a thorn. In most tattoo designs you see the rose flower drawn with a drop of blood oozing down from it. The tattoo design got popularized by sailors in the 1930s and 1940s who used the design to honor their female loved ones such as their spouses for the sacrifices they had to make while the sailors were away. In modern days, the meaning of a rose tattoo is love. This inking can also be used to have a faith theme when combined with designs of things that have religious significance. You can add a diamond in the rose design to symbolize prosperity. There are various design themes to choose from that suit every mood and meaning. Poor body art comes from as a result of making rushed decisions. Avoid getting a tat simply because your friends are goading you or you were too drunk and decided to get one. 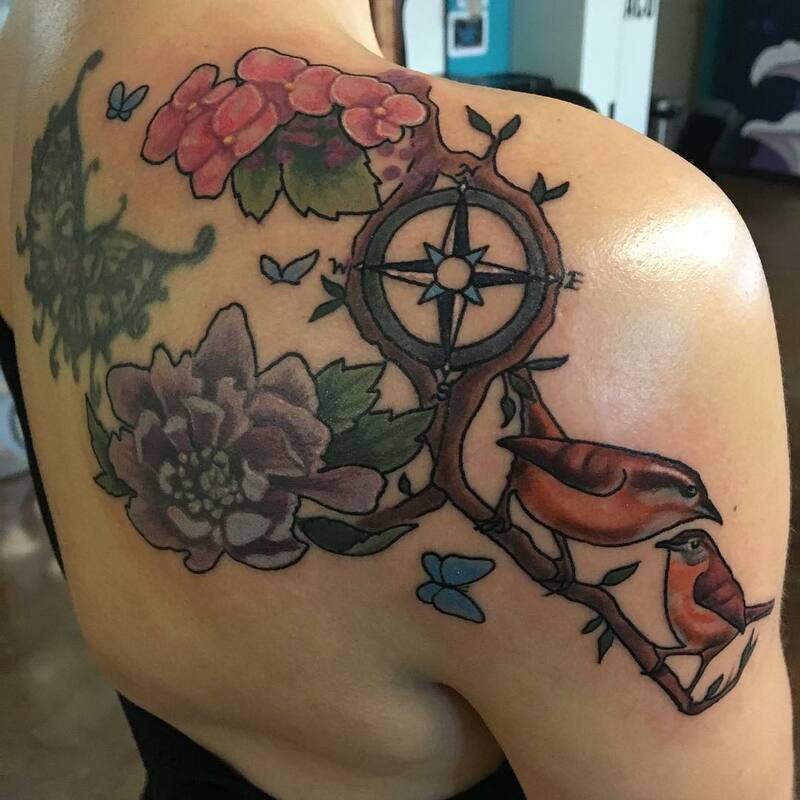 You should always remember that you have your whole lifetime to look at your tat so take your time in choosing a design that pleases you and one that you will not regret years later. Doing research can help you identify the one that best defines what you want and has meaning for you. 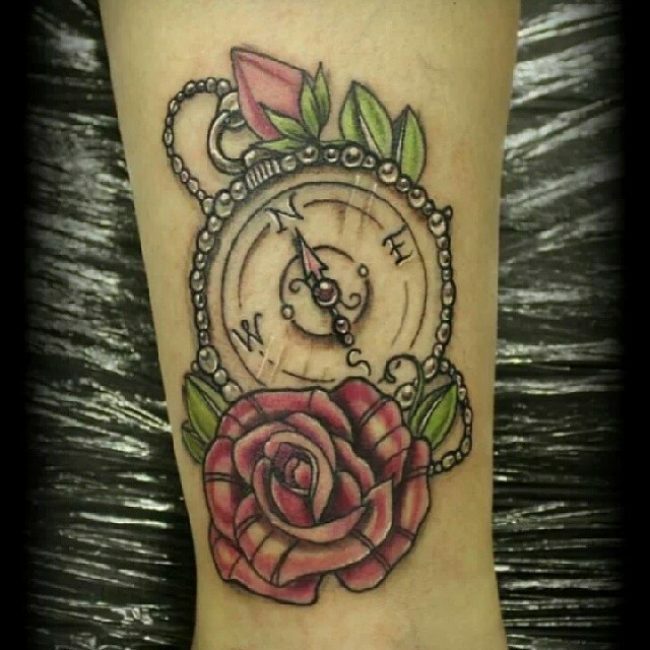 To choose an inking that will not disappoint you a few years later, settle for timeless designs. Sketch your favorite designs on a piece of paper, then find a tattoo artist to custom design it for you and get it printed. Use henna to get a temporary version of your tattoo to help you judge the overall feel of the design. Use this opportunity to see how it looks with your clothing. When you are certain that the tat feels right you can then go ahead and get inked. Choose a reputable tattoo artist to get you a permanent tattoo that you will not end up regretting later. Once you get the tat, the artist will clean the tattoo area, apply some anti-bacterial ointment and cover your inking with some bandage or plastic wrap. After you get the new tat, listen to the instructions that you will be given by your tattoo artist on how to take care of your tattoo. It is recommended that the bandage stays on for two hours before you remove it. After you remove the cover, clean the tat with some lukewarm water and unscented antibacterial soap. Gently rub the inking to remove traces of blood or leaked ink. Avoid using a sponge to clean the new tattoo area. After washing, pat the tattoo dry with a paper towel and avoid rubbing it as this can cause irritation. Allow it to dry for 20-60 minutes then apply a thin film of ointment. Each time you wash the inking, always apply some ointment until the tattoo starts to peel. Avoid using heavy ointments such as Vaseline as they clog the pores and cause breakouts on the tattoos. Choose non-greasy ointments that are made from natural ingredients and are non-petroleum based. You should continue to clean your tattoo for 3-5 times a day for 3-6 weeks or until it is fully healed. Avoid swimming or soaking in a bathtub before your tattoo is fully healed. This is because too much water may draw out the ink from your skin and alter the appearance of your inking. Also avoid exposing your tattoo to direct sunlight. This is because direct sunlight has harsh rays that can cause blisters and bleach some of the color from your inking which will end up affecting the general final appearance of your tattoo. Do not prematurely remove the scabs from your skin as the tattoo is healing as this might leave some light spots on the inked skin. If you feel itchy around the tattoo area, gently place some ice on the area. 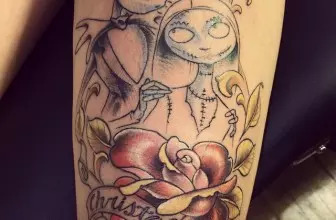 Before the tat is healed, avoid wearing clothes that are restrictive around the tattoo area as they can sip excess ink and stick to the skin making it painful to remove them. Finally, avoid unnecessary workouts before the inking is fully healed to facilitate a quicker healing process and avoid having skin irritation.